If for whatever reason your garage door comes off its track, you must not try to continue to operate it! If you do, you could cause some serious damage to your whole garage door system. 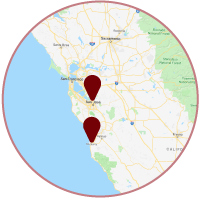 Safety is always the number one priority when operating a system like a garage door, and if it isn’t handled properly it can be much more dangerous than you might originally think. Some people might try to get their garage door back on the track themselves which can work, but if it isn’t done correctly and you try to operate it, once again further damage can ensue that will cost much more than having one of our technicians come out and remedy the situation safely from the get-go. If this is the reason why your garage down is off track, do not attempt to fix this on your own. The only way that it will be handled safely and correctly is if it’s done by one of our qualified professionals. Unfortunate mishaps like this occur every now and then, and they can be the reason for your garage door becoming inoperable. While this may just require the rollers being popped back into the track, the safest option is to call a technician to do it. 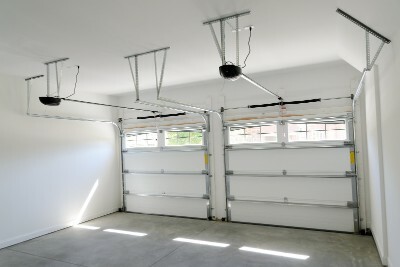 Obstructions are often the most common reason for a garage door coming off track. Whether it’s an obstacle in the opening or one that’s made its way into the track, one of our technicians will be able to get it cleared out and attach the door back carefully and correctly. Getting a garage door back on track can be extremely dangerous because if it’s done improperly, it can become fully detached and possibly cause serious injury. Let Aaron Overhead Doors take care of everything for you. Call us today if you’re facing this issue!